Omen, an introspective, Hyde Park, Chicago lyricist, accurately chose his stage name and strives for nothing short of authenticity. As a genuine music lover, Omen expresses who he is as an artist and a person, writing lyrics that discuss his experiences and that of others’ or at least the way it looks through his eyes. 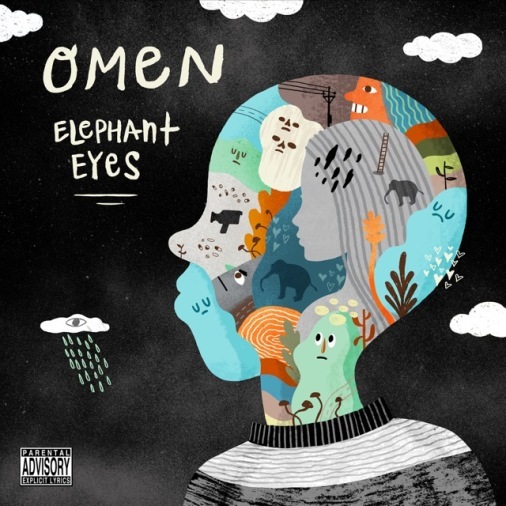 Omen’s upcoming project, Elephant Eyes, is highly anticipated by his fans and will be his debut project under Dreamville. Illmind stopped through Chicago. During his “Pass The Aux” tour he held a studio session with over 30 music producers & artists. 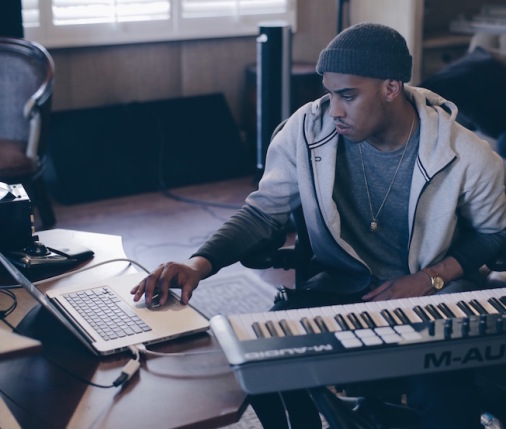 He invited rapper Omen to chop it up about his story. Music video by Omen performing 48 Laws. 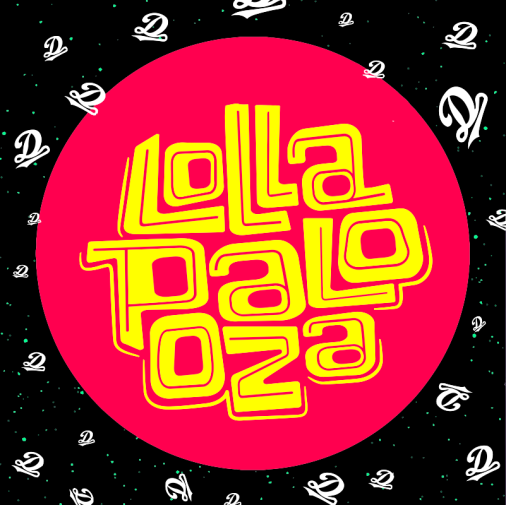 Dreamville tookover the iconic Lollapalooza in Chicago last weekend. 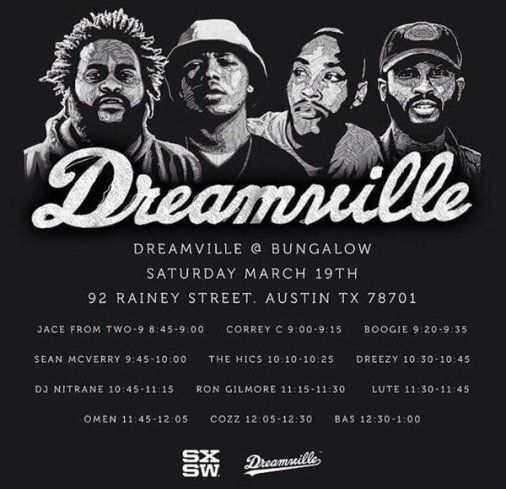 Performances included Bas, Cozz, Omen and Cole. Catch some photos and videos from the festival below. The multi-talented emcee and producer stopped by Audiomack’s studio to spit a brand new “Don’t Let Go” freestyle, lacing himself with his own soulful backdrop. These Days sat down with Omen to discuss his relationship with J. Cole and how it all started. 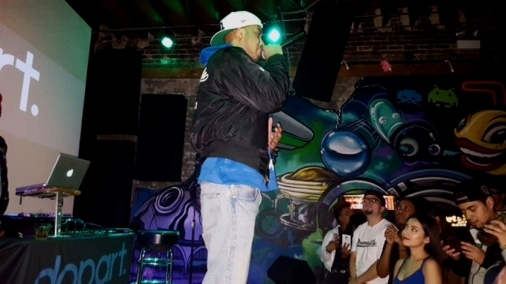 Omen performed a free intimate show in his home-city, Chicago, this week! 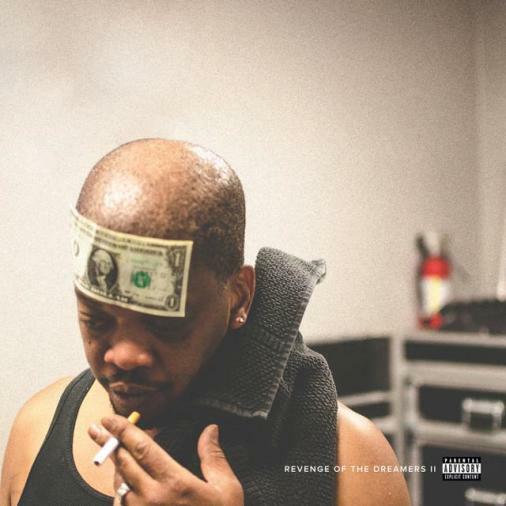 The mini set included his single ‘Motion Picture’, the trumpet-assisted ’48 Laws’ from Dreamville’s ROTD2 and more! 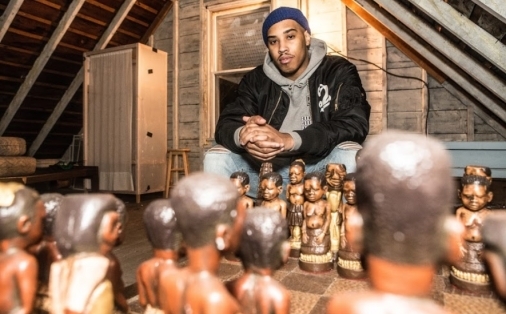 Omen opens up about his new album Elephant Eyes, 2015 transforming his life and being a contributor to Black Culture. NYC received a special treat last night after Dreamville decided to bar crawl to celebrate the release of ROTD 2. The crawl stops were announced through subway flyers and eventually caught up online as fans tried to track the impromptu shows from stop to stop. 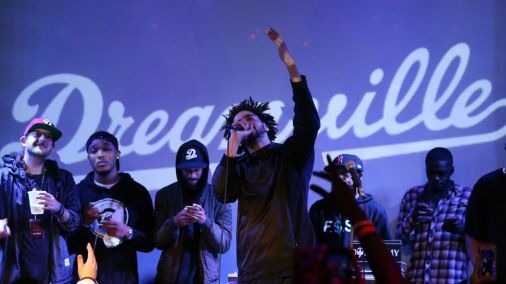 Performers included Cole, Bas, Cozz, Omen and Dreamville’s latest signee, Lute. Villains, here’s the trailer to our upcoming documentary concert of the Forest Hills Drive Tour debuting January 9th on HBO and HBO Now. 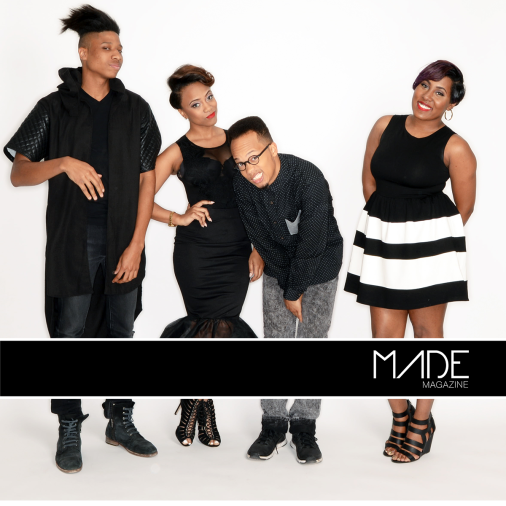 Jasmine Brown from St. Louis asks Omen about putting together his first tour, his first release – Elephant Eyes, and much more! 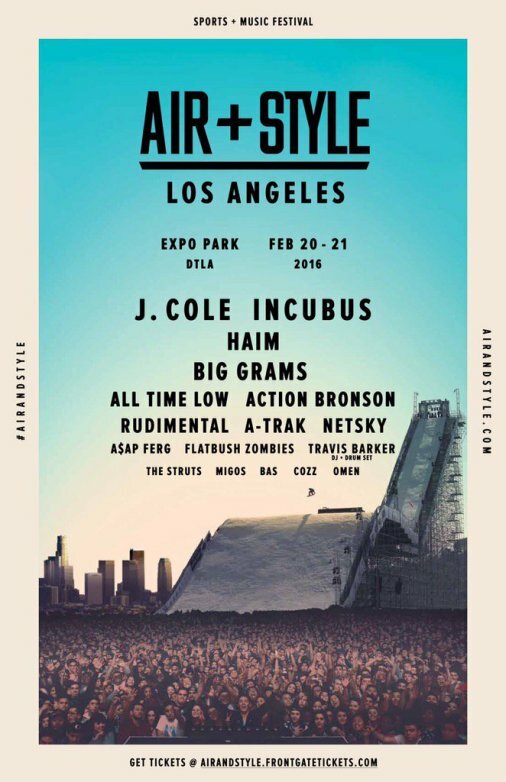 J. Cole, Bas, Cozz and Omen are set to play at the Air + Style Music Festival in L.A. 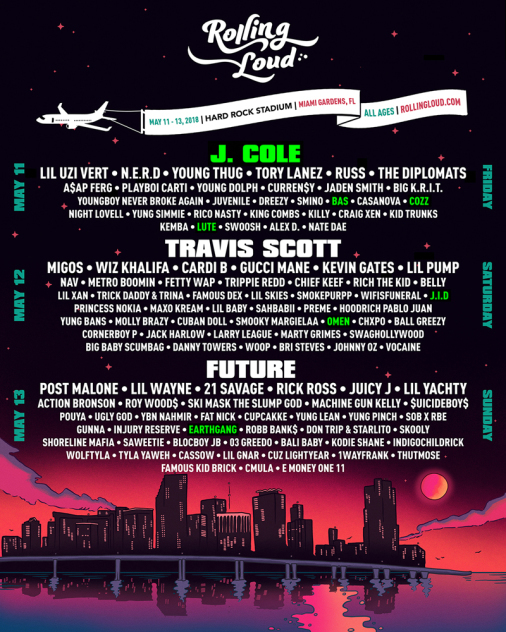 The two-day festival takes place at Expo Park between February 20 – 21. 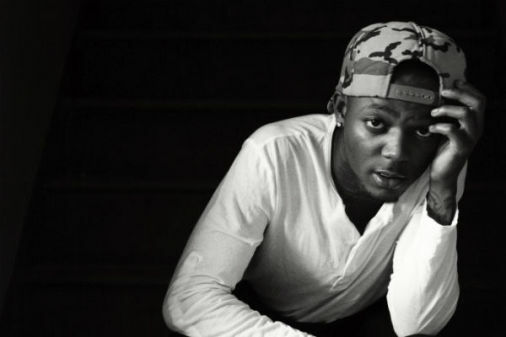 EE Tour just got more exciting, an upcoming artist from Atlanta named J.I.D has been added to the 4 City tour which starts November 16. 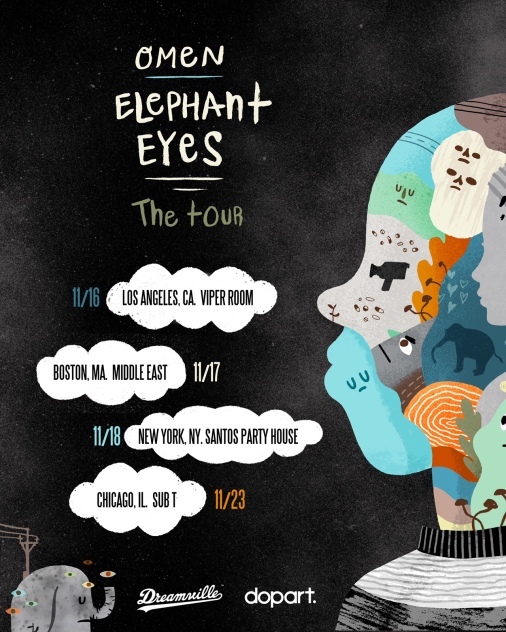 Omen Announces Elephant Eyes Tour with New Song " Purple lights"
Dreamville signee Omen announces 4 date national tour in support of recent project ELEPHANT EYES. Kicking off 11/16 in Los Angeles, the tour will also hit Boston and New York City, finishing off with a hometown Chicago show (full dates and venues below). To celebrate the tour, Omen released a brand new track “Purple Lights” that you can check out below. 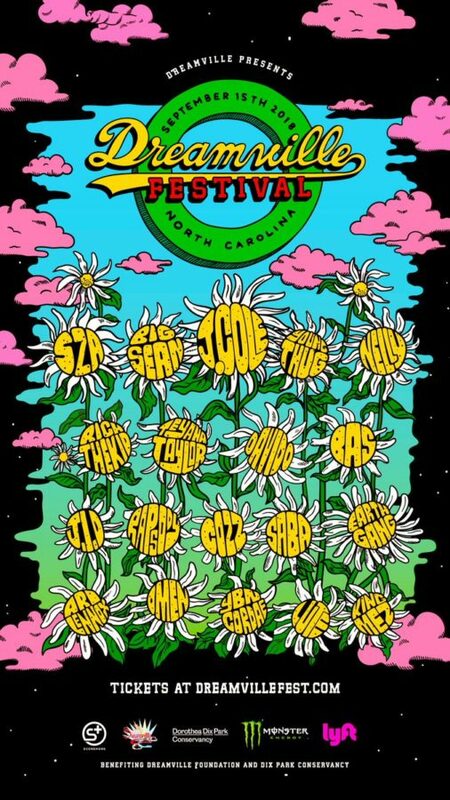 You can buy your tickets for the tour now at Dreamville.com/events. OMEN sits down with Mass Appeal to discuss his recent album Elephant Eyes, production, the Grind and being a part of Dreamville Records.